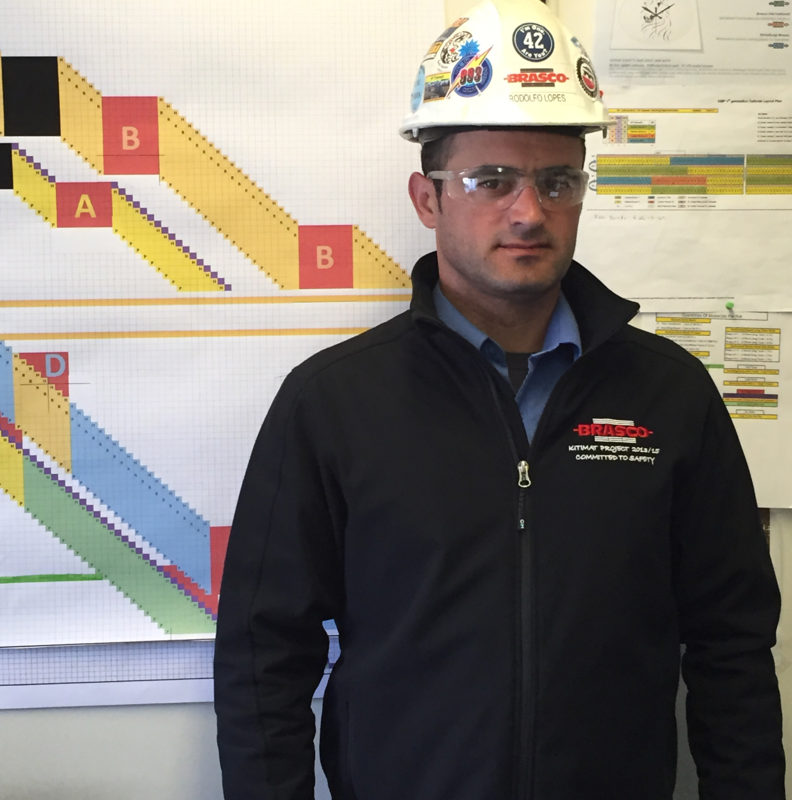 Kitimat, British Columbia, Canada – On the past 8th of May 2015, Brasco Linings Site Manager, Rodolfo Lopes, entered the “42 Club”. The 42 is symbolic of the last professional baseball player to wear that number – Yankee’s legendary pitcher – Mariano Rivera – regarded as the greatest CLOSER in baseball history and much respected team player. Rivera was the all-time saves leader with 652 saves, he holds just about every record for a closer, and he was a 5x’s World Series Champion. KMP’s Club 42 includes individuals recognized on the team as being a closer and Rodolfo Lopes entrance to this strict club was only possible due to the fantastic cooperation of the whole Brasco Linings Team.